Elizabeth Lowell has been writing since the early seventies, counting over seventy novels to her name (many co-written with her husband Evan Maxwell) with over thirty million copies of her books in print in thirty foreign languages. 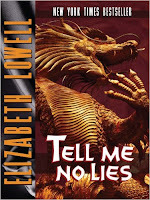 One of her best-represented fields is romance and romantic suspense, which she helped create in the late eighties with her book TELL ME NO LIES. And she hasn't stopped since then, continuing to tell stories of romance and action that thrill readers of both genres. Her latest book is PERFECT TOUCH, featuring an ill-fated romance set against both the world of high-stakes Western art and the stark beauty of the Wyoming wilderness. 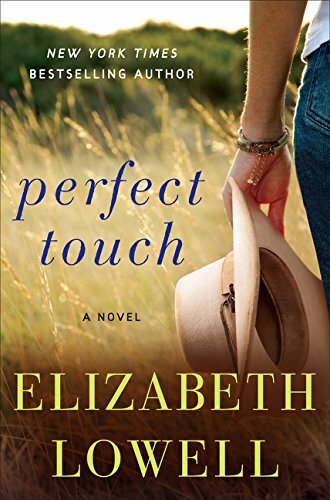 PERFECT TOUCH comes out July 28, and previews of the book are available at her website: elizabethlowell.com. • Can you tell us a little about yourself? I'm a wife, mother, grandmother, sister, aunt, and great aunt. Writing is my love and my madness. • How long have you been writing? I've been writing since 1970 and I've been published since 1972. • What inspired you to start writing novels for your chosen genre? I started writing science fiction, and wrote it until the mid-80s, because that was the majority of what I'd been reading up until that time. I moved onto romance after starting out reading the genre and finding that there was a lot of unexpected room to work with, being able to tell all sorts of stories beyond just girl meets boy. • What are some common misconceptions about writers? That we're all famous? We're all people and all very different ones at that. • Are there any other genres you have written, and what inspired you to branch out to them? I've written in science fiction (all out of print currently), mystery (the FIDDLER series), historical suspense (STEAL THE SUN) and non-fiction (THE YEAR-LONG DAY) as well as numerous subgenres of romance (medieval, historical, romantic suspense and contemporary.) As for what inspired me? Everything I read and watch has led to stories I've told. • Have you published any other novels, if so can you share the details? Too many to count here, with books coming out, sometimes multiple books a year, since 1975. You'd do best to check my website for a full list of books I've worked on. • Are you working on anything new right now that you can share with us? I'm working on a new romantic suspense novel at the moment, for which I just took a research trip to San Francisco. There's a few pictures from that posted over at my website. No title yet that I can share. Longtime fans might be pleased to know that I'm also working on Utah's story from the Rocking M series, but I don't have a timeline for publication or a publisher lined up. • What inspires you to write? Insanity? Writers don't choose to write. Writing chooses them. • Can you offer any advice to new or aspiring authors? If you want to publish, research who your audience will be. If you simply want to write, then go for it! After that, persistence is about all I can suggest. The publishing industry has changed so much since I started that it's barely recognizable. • What are you reading at the moment? SECOND CHANCE SUMMER by Jill Shalvis. Her books always make me fall in love all over again. And laugh. • If you could travel back in time, what year would you visit and why? Dinosaurs! I'd like to know what colors they really wore and how they sounded. I'd also love to go beach combing! • If you could be any character in any novel, who would it be and why? Jacob MacArthur Catlin of TELL ME NO LIES. He lived and traveled in Asia in places I would love to see, but are simply too dangerous now. • Who would you like to meet in person? • How do you come up with the titles for your novels? I usually take the theme of the novel and/or a place in the novel and create a title from those. • Do you create characters based on real connections in your life? No. Real life is too confining. • Do you like to write while listening to music? What playlist inspires you? I used to. I would pick songs/music for their resonance with my book's theme. I stopped doing that the last time we moved. • If you were stranded on a faraway island, what one thing would you want to have with you, and why? Fire. Like water, it always changes while being true to its nature. New York Times bestselling author Elizabeth Lowell plunges into the world of Sara Medina, who lifted herself from a childhood of poverty to become a successful art dealer. Sara provides the perfect touch for the homes of her wealthy clients. After watching her mother cope with too many children and too little money, Sara vowed never to make the mistake of marriage. Jay Vermilion has recently inherited the family’s Wyoming cattle ranch, and with it the wars his father had fought with his second wife. The heart of the battle is a collection of paintings by Armstrong “Custer” Harris. When Sara and Jay meet over the paintings, their mutual attraction is an unhappy surprise. They know they are wrong for each other. Then two murders happen on the Vermillion ranch. When it appears that Sara is next on the deadly list, Jay goes hunting for the killers as she works desperately to find the secret the murders were meant to hide. Tomorrow we will learn more about Elizabeth in the second part of our interview!